“Jeopardy” host Ale x Trebek recently made headlines after injuring his Achilles tendon. When his hotel room was broken into, Trebek chased the burglar down his hallway until he heard a loud pop from his heel. 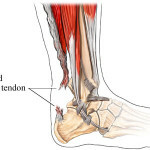 This is the attachment point for the Achilles tendon, a thick, rope-like structure that connects the powerful calf muscles to the heal bone. A ruptured Achilles tendon is one of the most severe injuries that can occur in the leg, and it must be repaired surgically. Fortunately for the game show host, it looks like he will have a speedy recovery. While this took place on the West Coast, Dr. Vimal Reddy has some lessons for us here in Jacksonville, FL about what we can do to prevent this devastating injury from happening. Stay in shape. 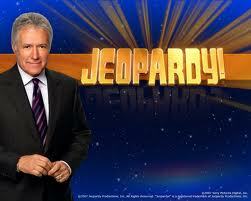 At age 72, Mr. Trebek probably leads a less active lifestyle. For those of us who are able however, staying in reasonably good shape is the best way to prevent injuries in general. Warm up before exercising. Of course, if you need to chase a burglar down a hallway, you may not have a chance to warm up. However, if you do some brisk walking to get your calf muscles warmed up, you lessen the chance of injuring your Achilles. Strengthen your calf muscles. A good way to do this is to stand up on your toes and then slowly lower yourself down. Lowering oneself down in a slow, controlled manner will really build up strength. Wear the proper shoe gear. Dr. Reddy may sound like a broken record saying this, but wearing the right shoes goes a long way to preventing injury! As a podiatric surgeon and sports medicine specialist at the First Coast Foot & Ankle Clinic, Dr. Reddy is qualified to perform Achilles tendon repair surgery. Consult with Dr. Reddy for a detailed assessment of your foot structure and recommendations for exercising your legs to prevent such injuries.